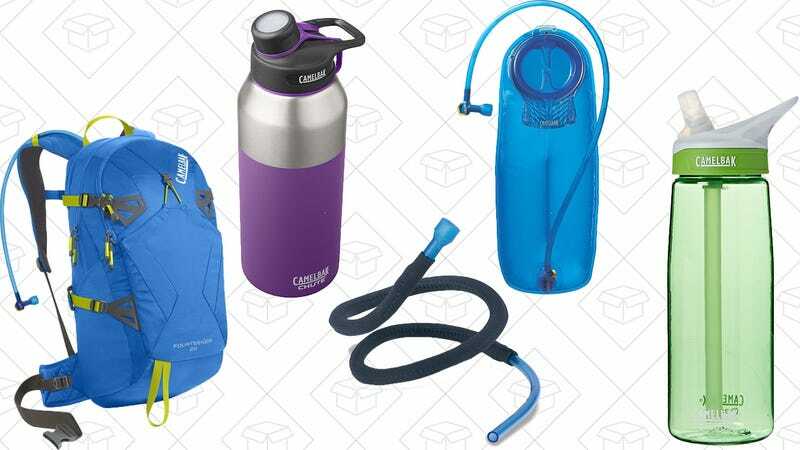 Whether you’re a serious hiker, play a lot of sports, or just want to stay properly hydrated at your desk job, today’s CamelBak sale on Amazon has your name on it. In addition to several of the namesake CamelBak hydration backpacks, you’ll also find a bunch standalone water bottles, as well as accessories to go along with your existing packs. So whether this is your first CamelBak purchase, or if you’re a diehard, there’s gear on sale for you here. Just note that like all Gold Box deals, these prices are only available today, or until sold out.